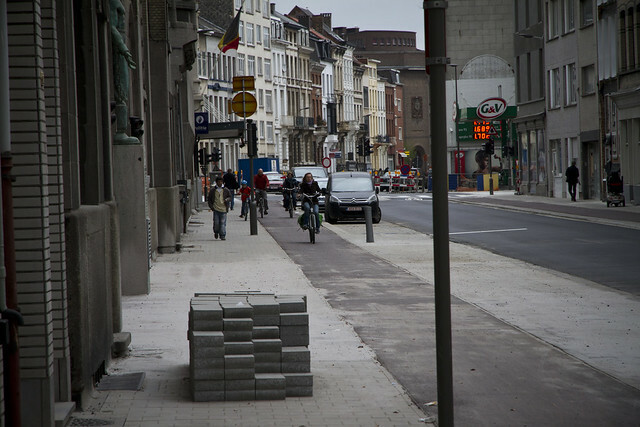 I was on a whirlwind Tour de Benelux last week and one of the stops was Antwerp, Belgium. The occasion was the opening of my Monumental Motion exhibition and a keynote talk about Bicycle Culture by Design. While I could find Antwerp on a map, it was one of those cities that I knew little about. Arriving by high-speed rail from Rotterdam, however, I was astounded at the sight of the most beautiful train station I've ever seen. From then on in, the city continued to surprise me in the most pleasant fashion. 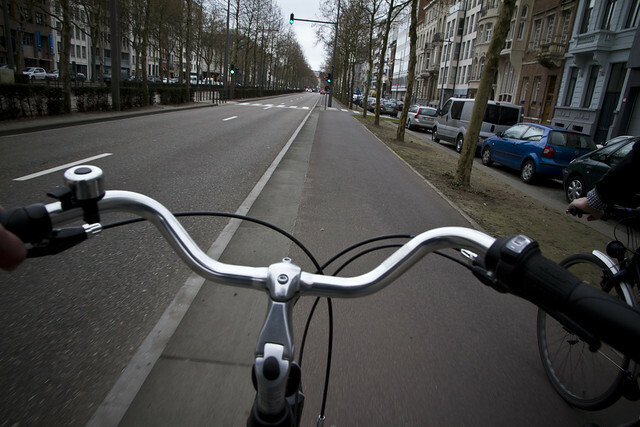 I was guided around the city by the charming Stef, from the Belgian Fietsersbond.be and while most of our conversations were about art and architecture, I was shown the city's bicycle infrastructure. 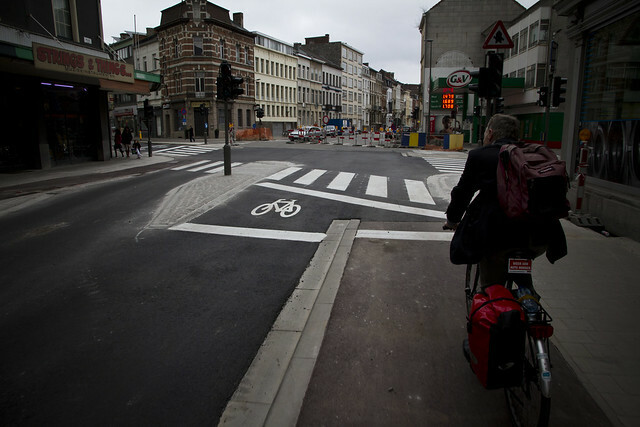 Antwerp has a modal share of about 16%, which is very respectable. 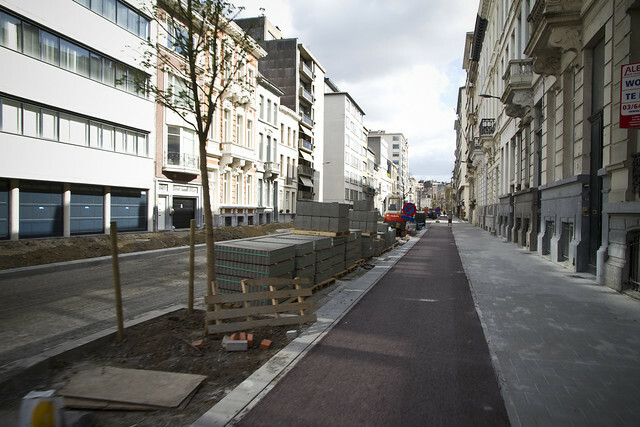 There were also a great many brand new cycle tracks around the city, some of which had only been completed a few days before. As I understood it, it's an election year and the incumbent mayor had promised 100 km of bicycle infrastructure before being elected. The race was on to complete the cycle tracks up to the next election. Which is quite brilliant. 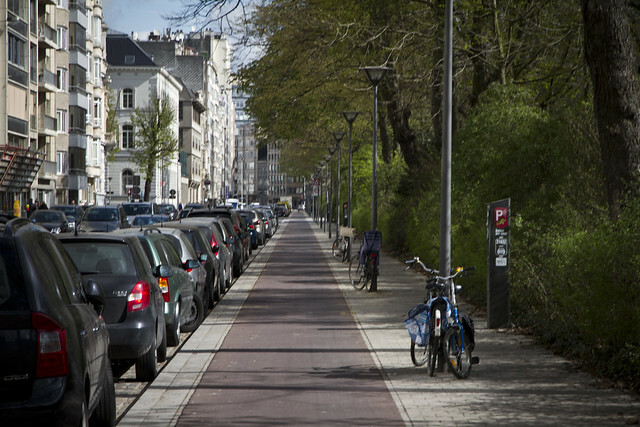 Above, the cycle track was completed before the street. That's a lot of street space taken away from motorised traffic and handed back to bicycles and pedestrians. Great for traffic calming and inspiring citizens to choose other forms of transport. The cycle track outside the stylish and charming B&B that had been arranged for me - La Gloria No. 10 - had been completed only two days before my arrival. They didn't have to hurry on my account, but I'm glad they did. Another new stretch of bicycle goodness. Safe separation along a stretch of 50 km/t roadway. 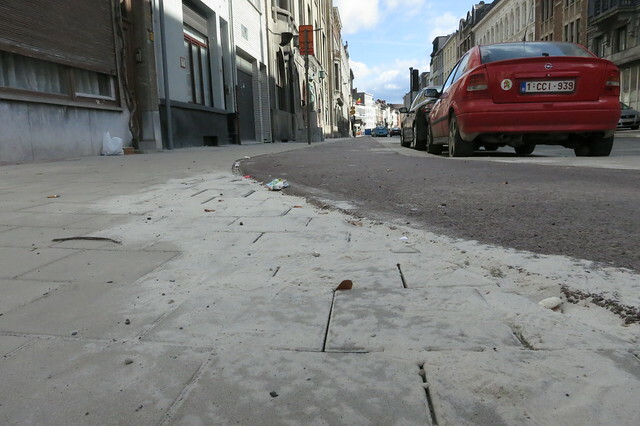 There are also many tramways in the city and, on the narrower streets, the solutions look like this. 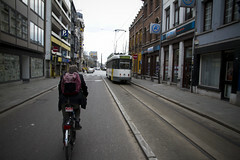 Like any experienced urban cyclists in cities with tramways, the tracks are not a problem. All in all, Antwerp is a cool city.